CarGurus has 8,383 nationwide S-Class listings starting at $2,100. The Mercedes-Benz S-Class has long been considered the pinnacle of the luxury sedan segment. For 2016, the Mercedes-Benz S-Class continues to bear this responsibility in style and will offer a new trim that takes luxury beyond what this segment has seen before. 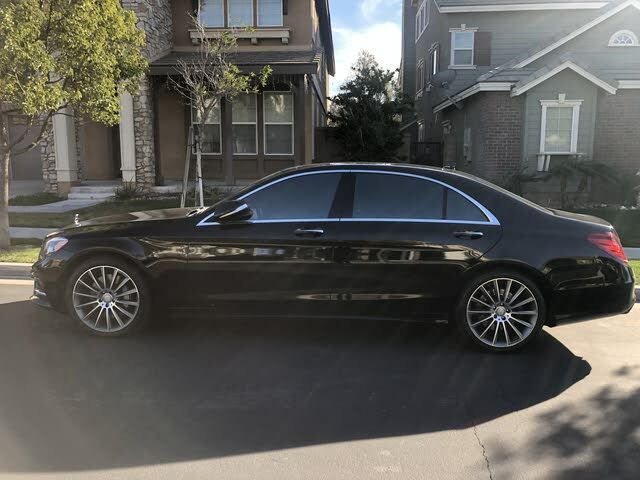 The S-Class has grown from a model with a couple of engine options to one that includes sedans, coupes, AMG-tuned sports sedans, convertibles, and now a stretched sedan with incredible levels of luxury. In this preview of the 2016 Mercedes S-Class, we'll focus on the 4-doors in the family. The mission of the S-Class sedan is simple to understand, but difficult to accomplish in a single trim. The Mercedes S-Class aims to be the finest sedan one can drive or be driven in. Every S-Class features cutting-edge technology in terms of comfort, performance, safety, and infotainment. We now expect amazing technology to trickle down rapidly from premium vehicles. This is the car from which that trickle emanates in the Mercedes-Benz family of automobiles. The exterior styling of the Mercedes S-Class is classic and modern in equal parts. The car has a look that's instantly recognizable, but since its 2013 redesign, the car has featured a lower, longer look with no sharp lines. Every part of the car is smoothly sculpted and has the look of metal shaped by the wind. The bold front grille still has horizontal lines separated by a vertical chrome bar with the Mercedes logo atop. This could describe S-Class cars from any generation. The high-tech lighting, which can now see in the dark and identify pedestrians and hazards, is integrated at the corners with backward-sweeping LEDs. Inside the Mercedes S-Class, one will find a “hand-crafted haven” as Mercedes puts it. Starting with the dashboard, we see a unique approach to infotainment. The dash has screens stretching from the center all the way over to the passenger side of the cabin. The Mercedes S screens are wide in the way the Tesla Model S screen is long. Despite its massive display area, Mercedes has kept the man-machine interface sleek and minimalistic looking in the center console. The premium seating surfaces are crafted and tailored meticulously, and a hot-stone-massage seating feature is offered. In the rear, the seating can be opulent. The seats recline and have extendable thigh support and footrests. Power controls on the doors can be adjusted almost infinitely. Normally, this is the end of the cabin overview in a sedan, but not in the S-Class. Ambient lighting consisting of over 300 LEDs provides seven different hues. The cabin air can not only be filtered but can also be scented for aromatherapy. This is standard equipment. The 2016 Mercedes-Benz S-Class sedan lineup’s organizational chart starts with the V8-powered S550 sedan. At just under $100,000, the S550 may be considered the starting point of the line. Its peer, the S550 Plug-in Hybrid will carry the same base price, but uses a turbocharged and electrified powerplant to reduce emissions and improve fuel efficiency. The S600 is the bi-turbo V12 sedan version of the S-Class with a price in the $170K range. Next we have the S63 AMG with a turbocharged V8 and and all-wheel-drive-equipped (4Matic) sedan, starting at about $145,000. Its sibling, the S65 AMG, has a handcrafted V12 engine with an astounding 621 horsepower. It sells in the neighborhood of about $225K. Last, we come to the new S600 Maybach. This is an ultra-luxury, stretched S-Class sedan with the standard V12 engine and priced near $170K. The performance of the 2016 Mercedes-Benz S-Class is impressive across the board. The 550 Plug-In Hybrid runs from 0 to 60 mph in 5.2 seconds, making it the slowpoke of the pack. The S65 AMG rockets to 60 in just 4.2 seconds. The extended-length Maybach nails 60 in 5 seconds flat. As impressive as these numbers are for large sedans, the real eye-popping tricks are related to the car's active driving aids. Not only can the Mercedes intervene and autonomously prevent accidents with braking and other maneuvers, it sees potholes in the road ahead and manages suspension settings to accommodate rough patches. From top to bottom the S600 Maybach impresses. 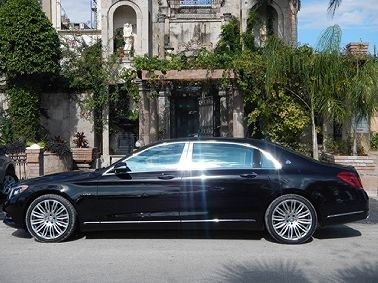 Inside the Maybach benefits from about 8 inches of additional wheelbase. This not only makes the rear seating area longer, but it extends the ceiling’s length, making it higher above passengers’ heads. The wood trim is extended to cover more of the cabin in back. What is not wood is covered in Nappa leather, and that includes the parts of the ceiling that are not glass. The Magic glass of the roof can darken for shade or privacy. The doors are heated. Like all good limousines, there are champagne glass and bottle holders in back. Mercedes wisely revived the name Maybach for 2016, and applying it to the S-Class makes good sense. Mercedes says the updated S-Class will go on sale in mid-August 2015. What's your take on the 2016 Mercedes-Benz S-Class? Users ranked 2016 Mercedes-Benz S-Class against other cars which they drove/owned. Each ranking was based on 9 categories. Here is the summary of top rankings. Have you driven a 2016 Mercedes-Benz S-Class? Does your car unlock automatically when you approach it Or do you have to hit the unlock button on the key fob? How Do I Search For MB S550e Hybrid 2016-2017, Nationwide?